Wishing you a Happy & Health New Year! I would like to start our 2019 journey for Health and Martial Arts with a Mind-Body series about the Major Up & Down Forces, or the 3 Spheres which I refer to in my Sunrise Tai Chi book on pages 18 to 21 and in my Sunset Tai Chi book on pages 30 to 35. This series will help you understand the 3 Up Forces, the lumbar, the thoracic Spine, and the head suspended and the 3 Down Forces, relaxing your abdominal muscles, dropping your shoulders, and dissolving your face. These Up and Down forces will help you understand and be able to practice some important principles from the philosophy of Tai Chi, Chi Kung and Yoga. The first goal in this series is to start to create proper alignment through your spine. As you can see from the illustration the spine is not really straight. When you hear “Sit up straight” it is because so many of us collapse our spine when we stand and even more when we sit. This figure of speech is a great motivator to help you reverse this lazy, collapsing behavior. But it is much easier said than done! The truth is that it takes years of learning and practicing in order to achieve proper alignment in all 3 parts of the spine. So let’s start! Straighten your spine, please. In the Tai Chi philosophy to achieve optimal energy flow and martial power, Jing, correct alignment through the spine and the rest of the skeleton is key. When you can keep your spine aligned and not collapsed throughout your daily life and especially when fighting you have reached the level of a Tai Chi Master. It is common for people to collapse either one or all 3 parts of the spine: the lumbar, thoracic, and cervical which leads to compression of the neck and misalignment of the head. Keeping your spine aligned and lengthened throughout the day has many health and martial benefits but it takes a lot of discipline and practice! Maintaining correct alignment in the spine has many health and martial benefits such as reducing stress on the vertebrae and internal organs and promoting a strong, smooth flow of blood and energy and is essential for upgrading your energetic system and then transmitting power into your opponent. When your spine is not lengthened and aligned properly, your lungs are compressed and you only utilize one third of their capacity. Aligning your spine and utilizing your full lung capacity, breathing deep, gives you many health benefits such as reducing blood pressure, anxiety and stress. Deep breathing has been scientifically proven to affect the heart, brain, digestive and immune system in positive ways and is beneficial for full oxygen exchange or trading incoming oxygen with outgoing carbon dioxide. Correct spine alignment also allows optimal flow and function for your internal organs. I challenge you to sit, stand, and walk with a straight, lengthened and aligned spine as much as possible. Imagine lengthening up into the clouds. You can practice sitting, standing or when walking or running. 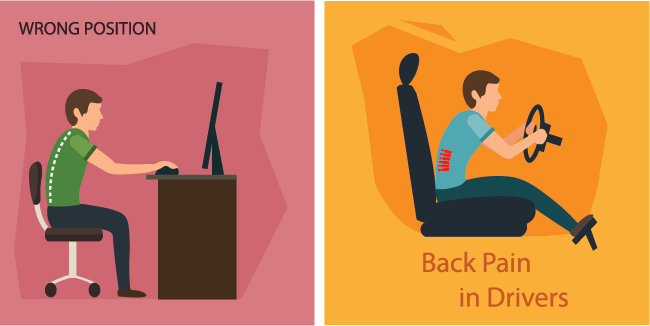 You can practice in the car, at your desk, when exercising at home or at work. In Chi Kung philosophy the breath is one of the tools, or a banana, for capturing the Monkey mind, or emotional mind. Capturing the emotional mind is referred to as Seizing the Monkey (lecture at Dana Farber about the monkey and the horse mind, 6 minutes). For some people, sitting, lengthening the spine, breathing deep and emptying the mind is easier than for others. If you find you are having a hard time emptying your mind by using only your quiet breath, I suggest you use a trick in the beginning to help capture the Monkey Mind. After a few weeks of practicing with one of the tricks (enjoy the links below) the next challenge is to sit still in total quiet with no external or internal distractions using only your quiet breath to empty the mind. Sitting in silence with water breath is harder because the monkey mind is more active when it is quiet. Common methods for capturing the Monkey Mind are external sounds such as music, the sound of bells, or tibetan bowls. Others prefer sounds from nature, such as calming waves, a running river or gentle rain. For some, internal sounds work the best, like repeating a word or mantra: here is one for wealth! Engaging in prayer is another great tool for reaching the place of Thoughts with No Thoughts, an empty mind or meditation. Enjoy some of my favorites! Christian, Native American, Jewish, Muslim, Gregorian. Other methods are focusing on external visual objects - still ones or moving ones - when doing this exercise. (You might need to create a free log-in to gain access). For those of you who want to try doing this exercise while using an external moving visualization, the flame of a candle is a great visualization. It is used for both health and martial arts. In the Chinese martial arts I have been learning and practicing over the last 40 years there is traditional meditation training for the purpose of predicting or reading your opponents’ movements. To achieve this skill you can watch the smoke rising from incense or you can look at the flickering flame of a candle. I invite you to do it together with me. Here is a link of me doing candle watching meditation for 3 minutes. If you are looking for more ways to stay motivated check out my online courses at Udemy. Happy Stretching, Deep Breathing, Empty your Mind, Strengthen your Energetic System & Evoke your spirit! Welcome back mind-body students! We have had a lot of posts about research and special events on the blog lately! These are all great, and I am so happy to share the amazing work we are doing with all of you. However, I also like to have action on my blog too! So let's dive into a great mind-body workout this week, and get back into the groove of our mind-body routine! Let's begin with some stretching of the key muscles that support stability and balance. Stretching these muscles is not only important for flexibility and avoiding falls, but it is also a key part to releasing our skeleton from being a prisoner of the soft tissue. This improves blood flow, which allows oxygen to reach all of our cells more effectively, and energizes our whole mind-body system! The first stretch will be the Flamingo Stretch for our hips. Our hips are the core of our body, and they are responsible for directing the strength that we generate from our legs. Having strong roots is not much help if you cannot use your hips correctly! Do the stretch to each side (each leg) for 2-3 minutes, using whatever support you need. Next we will stretch our lower back out in each of its major directions using the Five Musketeers Stretch. Just like with the hips, the lower back is responsible for directing a lot of the strength of our root system (our legs). If your lower back is tight, you will not be able to properly strengthen your legs! Do this stretch like I show in the video, for about 1-2 minutes at each angle. Use blocks or books and pillows to properly support yourself so that you are doing 80% effort. For our last stretch, we will be working on the tightest muscles in our body: our hamstrings! This technique is an old favorite I call "Vitamin H." While we do this stretch, we will also be focusing on performing "water breath." This will begin to really engage our mind and breath into the workout. This stretch you can hold for 3-4 minutes, but make sure you are doing 80% effort, just like before! For our first of three strengthening exercises, we will be moving Up and Down Like the Moon and the Sun. Remember to do the two sets, legs apart and legs together. Up to 15 (in each set!) is beginner level, 15-30 repetitions is intermediate, and 30-50 repetitions is the advanced level of leg strength. Do the amount that you are able to with 80% effort. From working our quadriceps and other thigh muscles, we are moving down to the calves! This exercise has you go up onto your toes, and then roll back onto your heals. It works your calf muscles as well as massages the bottom of your feet. The feet are so important for generating the strength and force from the ground that everyone needs. Whether you are a martial artists who wants to throw a powerful kick, or just a person who needs to run up and down a flight of stairs, strong and flexible feet are so important. Do this 20-30 times, and be sure to pay attention to your breathing like I mention in the video. Finally, we are going to practice moving up and down from the floor safely. This may seem like it contradicts what our workout is about. Why would we practice this if the goal is to have strong roots and not to fall over? The answer is pretty simple! Everyone falls over sometime. When you practice this movement, not only are you getting a good workout in for your whole body (especially your legs), but you will also be teaching your body how to react when it loses balance: bend the knees, move down low in a straight down way so your body can "collapse" instead of "fall". Do this 10 times to each side, practicing getting down and up from one side and then the other. And that's all for this week! I hope you enjoy the workout! And as always, happy stretching, deep breathing, empty your mind, strengthen your energetic system, and evoke your spirit! This week, we continue our discussion of achieving correct alignment with a video about upper body alignment while standing. I call this technique "Crane Flies." As I show in the video, you can practice this standing against the wall first in order to get a good feel for what the correct alignment of the spine and neck is. Then, when you feel like you have the posture committed to memory, you can step away from the wall and practice while free-standing. Remember to touch the wall with your heels, sacrum, shoulder blades, and back of the head. Your lumbar spine (lower back above your hips) should not be touching the wall. You should be able to pass your hand between your lower back and the wall. The great thing about this exercise is that you can feel, as you do the movement, which parts of your back are tightest. That way you can determine what to stretch next to release your skeleton from being a prisoner of soft tissue. This week, I want to share a video with you about correct alignment. Correct alignment is so important to a successful mind-body practice. In a similar way to how isolating the joints allows you to achieve better health outcomes during your tai chi and exercise, correct alignment allows you to achieve better health outcomes both during your mind-body practice, and when you are sitting at your desk, driving your car, walking, or doing anything really! The first thing you need to study is this: there is a difference between what your body is designed to do, and what it probably tends to do. Things like your head craning forward, your shoulders staying shrugged, your chest and back slumping down and so on are all examples of bad tendencies our body has. Once you learn to recognize when your body is doing those bad tendencies, you can practice correcting them. A great way to practice that is by focusing on what I call the "Major Up and Down Forces". The three "Up" forces, which are areas of your body that should feel like they are lifting up when you are in correct alignment, are the lumbar spine (lower back), thoracic spine (middle/upper back), and the top of your head. The three "Down" forces, which are areas of your body that should feel as relaxed as possible (without drooping!) when you are in correct alignment. They are the abdominal muscles, the shoulders, and the face. Ideally, through practice with this video and my face meditation video, you get to the point where you can experience all six major forces at the same time and achieve correct alignment. I have even more advice in the video, so don't miss it! This week, we have a special post: my father-in-law contributed to an article on sarcopenia in Nature International Journal of Science. I highly suggest you read it! Especially if you are interested in health and medical sciences. As life expectancy continues to rise and the population of elderly people increases, the need for treatment of diseases associated with aging is becoming more and more important. Sarcopenia is one of those conditions that can be treated with relatively simple and totally non-invasive means. There is a lot of progress being made, and a lot still to be made! An in case you missed it, be sure to check out my new course on Udemy! 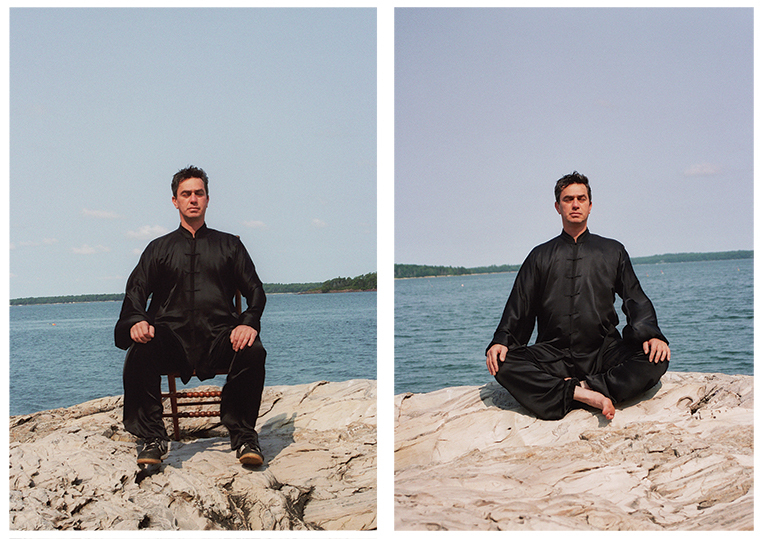 It's called Martial Meditations: Reduce Stress & Make Better Decisions. It's still on sale, so be sure to check it out and recommend it to your friends and family!